a little odd in their life. 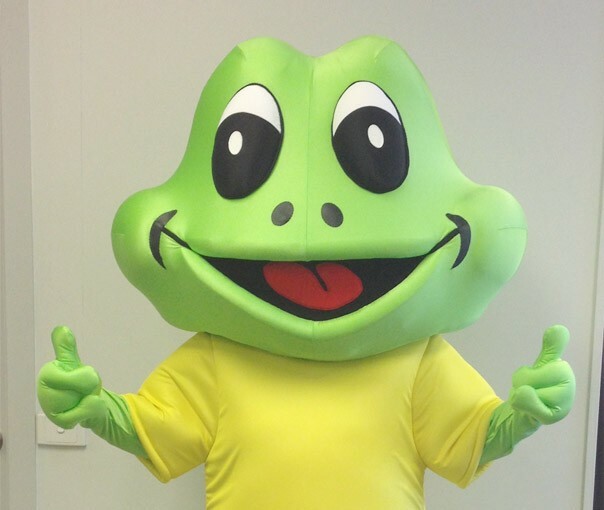 Need a quirky mascot to put some pizzazz into your latest marketing campaign? Want to bring your brand to life at major events? You’ve come to the right place. We are the experts of odd. The masters of fun. The queens of kooky. But don’t get the wrong idea – we take our work very seriously. 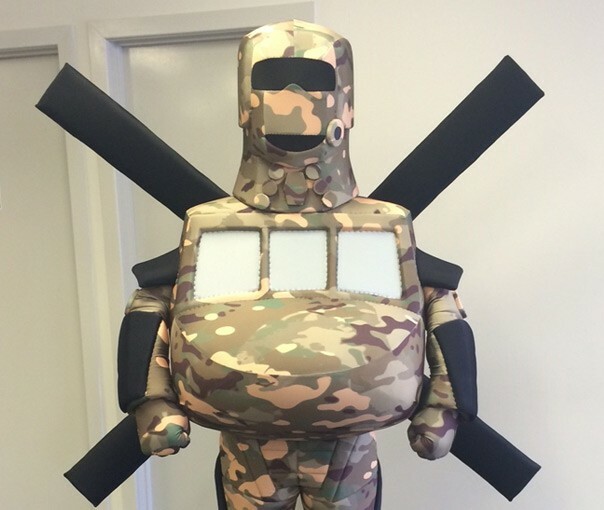 We’re the best in the world at what we do, using the highest quality craftsmanship and materials to produce custom mascots and costumes that help brands engage with their audiences around the world. Our custom mascots are 100% Australian made. They are durable, functional and most important, comfortable. We work alongside our clients to make sure we capture their vision exactly, and we exceed their expectations every time. It doesn’t get much more iconic than this. Freddo is one of the best known characters in the confectionary world, and we have been bringing this happy green frog to life since 1993. 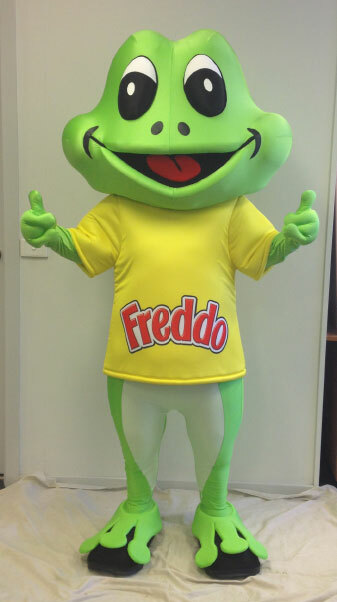 Now onto our third incarnation, our Freddo Frog mascot has evolved alongside the brand itself. Cadbury were one of our first ever clients, and we’re so pleased to be still working with them nearly 25 years later. How do you turn a stick figure drawing into a 3D moving mascot? That’s the question we were asked by the Brothers Leagues Club. And here at Oddbods, we love a good challenge. The Brothers Leagues Club presented us with a nine-year-old’s drawing of a stick figure helicopter, and working closely alongside the club, we were able to bring their vision to life. Think it can’t be done? Think again. When Specsavers approached us to create a real-life replica of their mascot, Specman, we were more than happy to oblige. 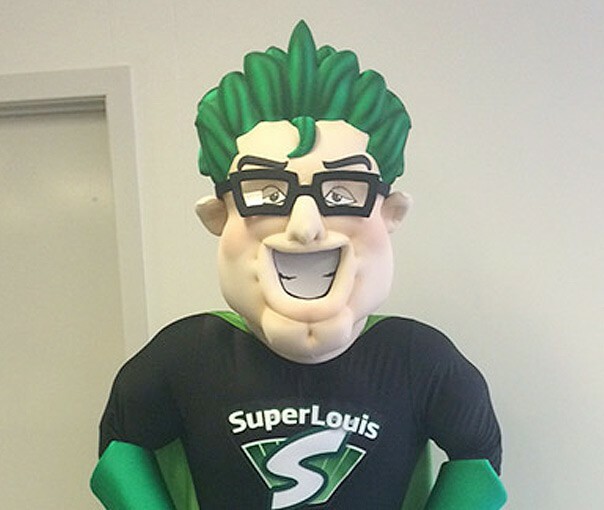 This kooky, bespectacled superhero has played a vital role in launching new Specsavers stores across Australia. Seeing the success that Specman had here in Australia, the Swedish arm of the company decided that they needed a mascot, too. Enter SuperLouis, who can now be found running all over Denmark, Finland and Sweden, saving the Scandinavians from all their eyesight woes.